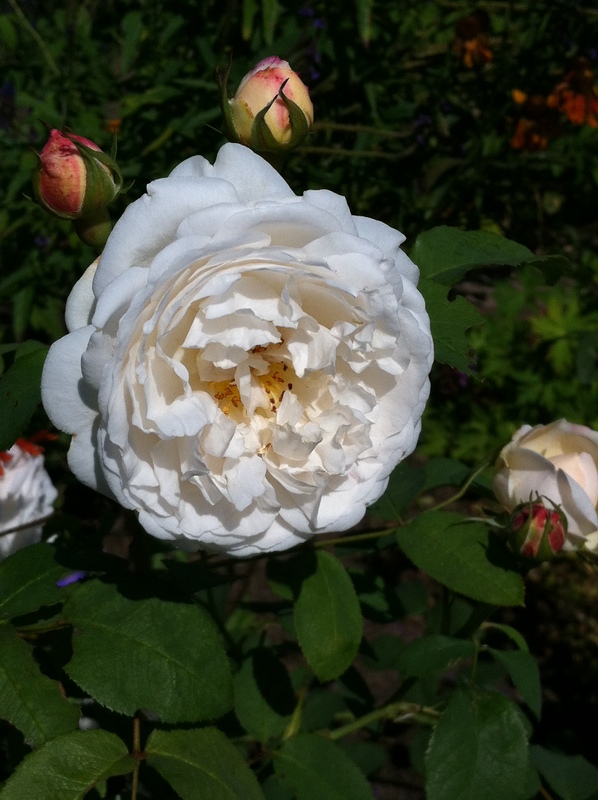 ‘Winchester Cathedral’ is a white sport of ‘Mary Rose’ (introduced in 1983) and except for the color ‘Winchester Cathedral’ is in all aspects the same plant, but she easily reverts back and has occasionally a spot of pink (or more) in the white flowers as to remind her of Mary Rose. ‘Winchester Cathedral’ is a long flowering rose, starting the beginning of May and continues almost until the first frost. She has very fragrant double flowers and long thorny branches with bright green leaves on a bushy shrub. Height of up to 4′ (up to 120 cm). Width of up to 4′ (up to 120 cm).